A Tunguska-like ‘cosmic airburst’ may have annihilated an ancient Middle Eastern civilization in a split-second in a terrifying example of the fragility of life on Earth, according to new research. Analysis of 3,700-year-old archaeological evidence from Jordan’s Tall el-Hammam Excavation Project indicates that a “high-heat” explosive event “devastated approximately 500km2” of land to the north of the Dead Sea, wiping out a thriving civilisation that had existed for millennia almost instantaneously. 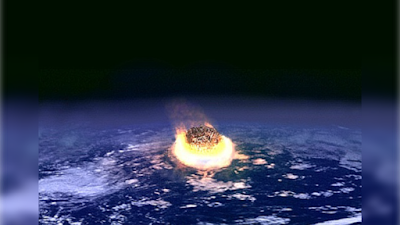 Given the absence of an impact crater, the team believes the destruction was caused by a low-altitude airburst not more than 3,280 feet (1km) above the ground. The explosion was so awe-inspiringly powerful that the Zircon contained within the civilization’s pottery sublimed into a gas thanks to temperatures of up to 7,230 degrees Fahrenheit (4,000 degrees Celsius). For comparison, the temperature at the surface of the Sun is about 10,000 Fahrenheit (5,600 Celsius). The pottery itself was reportedly vitrified (turned to glass). Unlike the 1908 Tunguska event, this explosion occurred in a highly populated area, for the time, and may have killed between 40,000 and 65,000 people who inhabited Middle Ghor, the 25-kilometer-wide circular plain in Jordan. The blast radius of the Tunguska event was over four times the size: almost 2,000 square kilometers of taiga forest was flattened, indicating the explosion must have occurred at a higher altitude. The highly fertile soil of the Middle Ghor was left barren by the heat and was then salted by the briny anhydride waters of the Dead Sea that washed over the plains from the resulting tsunami after the airburst. It took almost 600 years for the area to recover. “That the most productive agricultural land in the region, which had supported flourishing civilizations continuously for at least 3,000 years, should suddenly relinquish, then resist, human habitation for such a long period of time has begged investigation,” states the project’s website. Some have theorized that this event may have been the biblical destruction of the ancient city of Sodom as the Tall el-Hammam site has long been a strong candidate for the ancient 'Sin City', though no definitive conclusion has been reached as of yet.